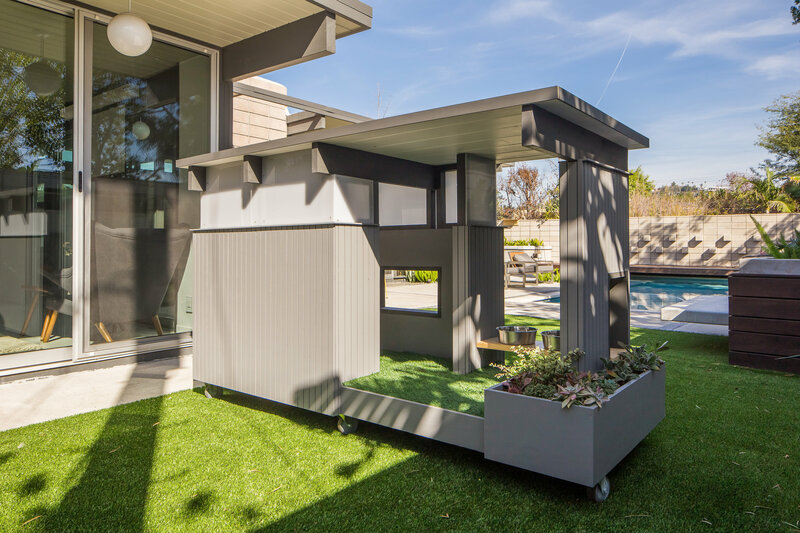 It’s all about the pampered pet today—a trend so pervasive that homebuilders and developers—and even high-end rentals that once all-but-shunned anyone that didn’t walk upright—are essentially rolling out the grass (and, often, faux grass) carpet. 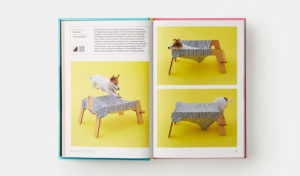 Appealing to pet-lovers isn’t just sweet; it’s also smart. According to the American Pet Products Association’s most recent National Pet Owners Survey, 68 percent of U.S. households own at least one pet, growth of 22 percent over the past 20 years. 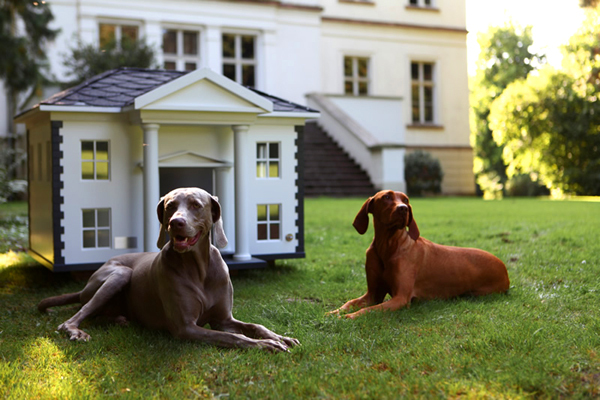 That’s approximately 85 million families who consider their pet a part of the family and who, increasingly, have luxury residential options that embrace the whole brood. 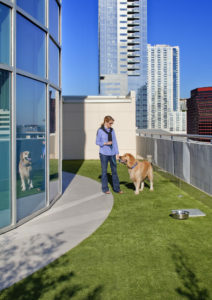 “In an effort to court pet-loving house hunters, new high-end developments in several big cities now offer lavish hangouts for the four-legged, from rooftop dog parks to doggy club rooms and swimming pools,” said the Wall Street Journal. That includes City Market at O in Washington, D.C., with its rooftop dog run. At the 56-story condominiums, The Austonian in Texas’ capital city, two-legged individuals get to make use of the fully outfitted fitness center, the 12,000-square-foot, 10th-floor lawn, and the 75-foot saltwater lap pool and spa, plus luxe cabanas, and outdoor kitchens and fireplaces. 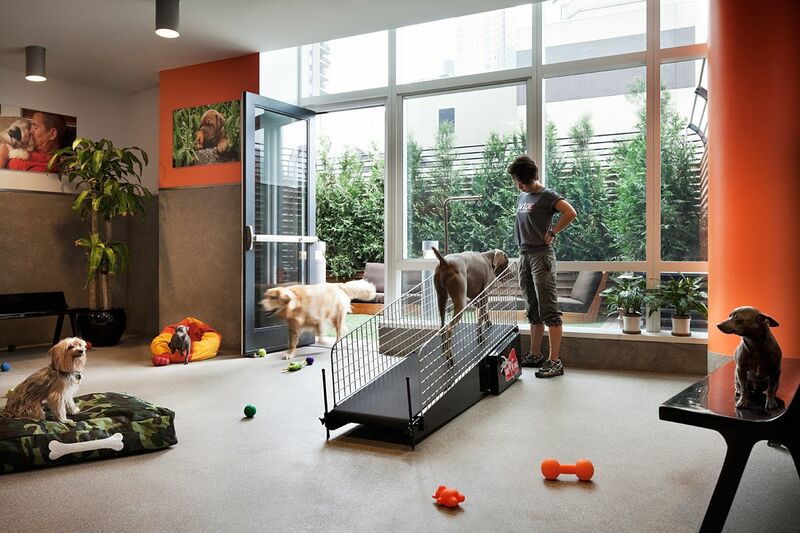 For the four-legged set: an indoor dog grooming room and an outdoor dog park. Walk through many of today’s upscale model homes and you don’t just see gleaming kitchens, tricked-out home theaters, and themed kids’ rooms. 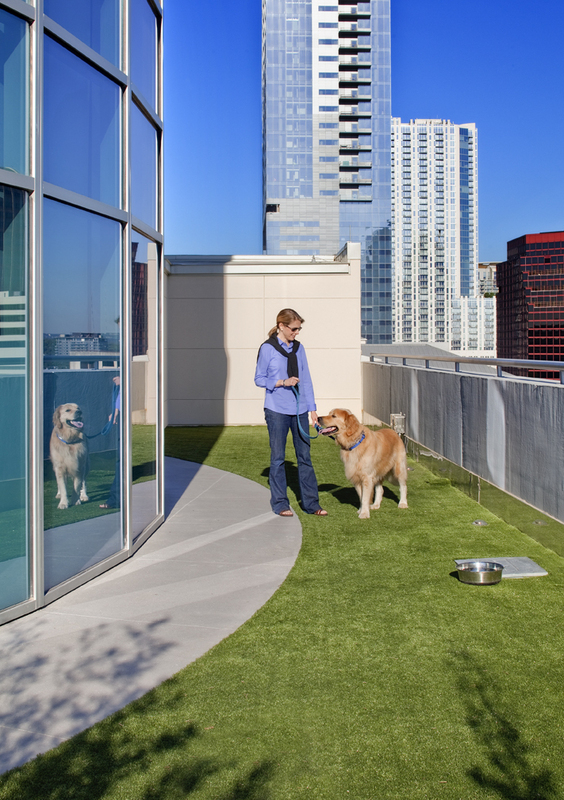 In an effort to recognize how people really live today, builders and developers are also focusing on pets. This manifests as a combination of function and fanciful design elements. New-home buyers are also being surprised with trending features in model homes like built-in feeding zones and “dog dens,” that turn the unused area beneath the stairs into a puppy hideaway. You could also hold out for this noise-canceling kennel from automaker Ford, which, in addition to showcasing some high style that will look right at home in your luxury space, was designed to protect sensitive doggy ears. “The idea was inspired by the noise-canceling technology that we have introduced to the Edge SUV, that helps to ensure quieter journeys for drivers and passengers,” they said. “When microphones pick up high levels of noise from the engine or transmission, this is counteracted using opposing sound waves from the car’s audio system. The noise-canceling kennel is the first in a series of initiatives—called Interventions—that applies automotive know-how to help solve everyday problems.